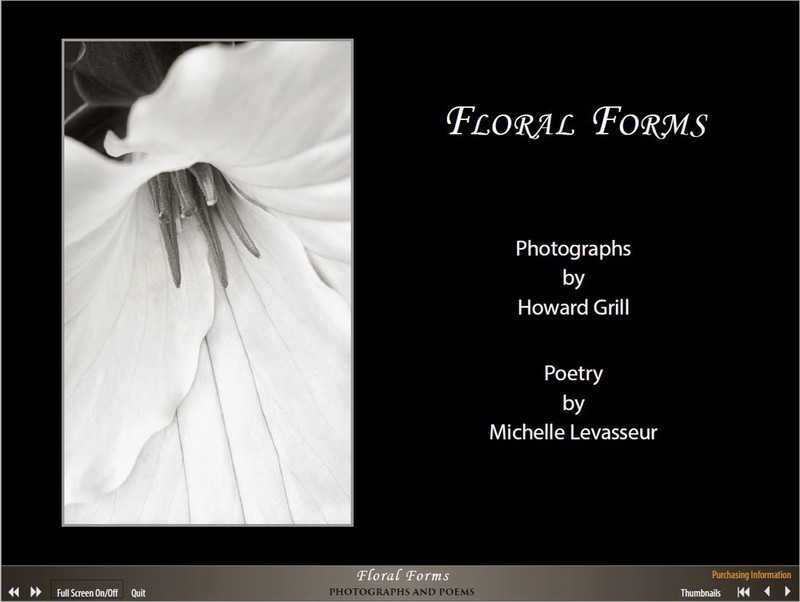 Learn more about the multimedia eBooks available at Howard Grill Photography. Each book is a self-contained photographic essay complete with supporting information about the project. My eBooks are a bit different from the type of photography eBooks that you might see on Amazon in that they are not 'How To' books. They are the electronic equivalent of a fine art photograhy book or monograph. Each book represents a completed photographic essay or project and includes text describing the specifics of the project, photographs, and, in many instances, embedded multimedia. They go beyond my website content. Between 1881 and 1978 the Carrie Furnace was used to produce iron which was then shipped, still molten, across the Monongahela River to the Homestead Steel Works (site of the famous Homestead Strike of 1892). It played an important role in the industrial heritage and history of Western Pennsylvania. Closed in 1978, the furnace has lay dormant for 36 years. 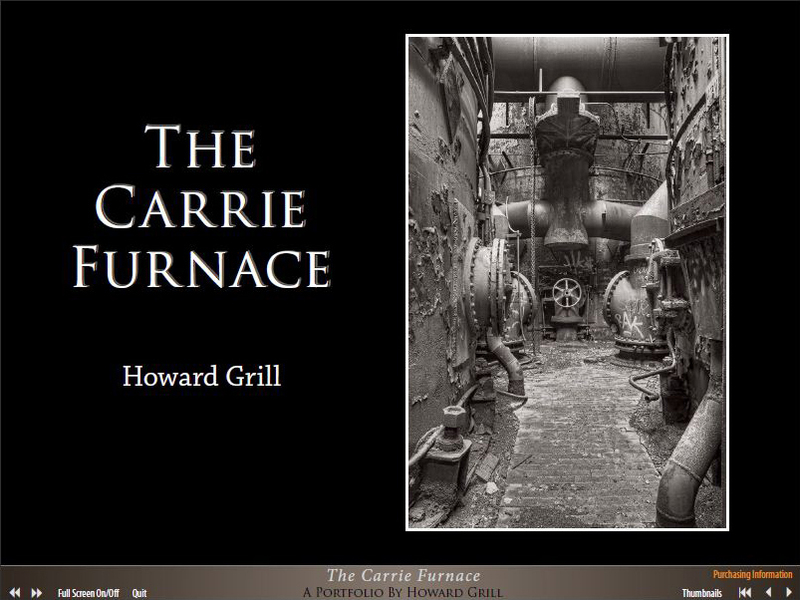 "The Carrie Furnace" eBook contains 47 photographs of the Carrie Furnace as it appeared in 2011. It has since changed, and continues to change, thanks to the restoration efforts of Rivers Of Steel, a non-profit organization dedicated to the preservation of Western Pennsylvania's industrial and steel making heritage. Having been moved by the process of photographing the abandoned blast furnace, I searched for someone that had worked at the facility that I might be able to speak with. I was quite fortunate to meet Mr. Ron Gault, who worked at Carrie as a young man in the 1970s. He provided fascinating information and anecdotes related to the photographs I showed him, and this audio content is included as part of the multimedia Carrie Furnace eBook. The Floral Forms eBook is a book of photographs and poetry that is a collaboration between myself and and writer/poet Michelle Levasseur.